Gifts for your Valentine… Your 3D face ! You can have your head scanned and turned into a 3D digital model, which is then printed in plastic in high definition on a ProjetHD printer. A silicon mould is made from this positive form and filled with melted chocolate – and the final product can be secreted in a box of chocolates and presented to your unsuspecting loved one. 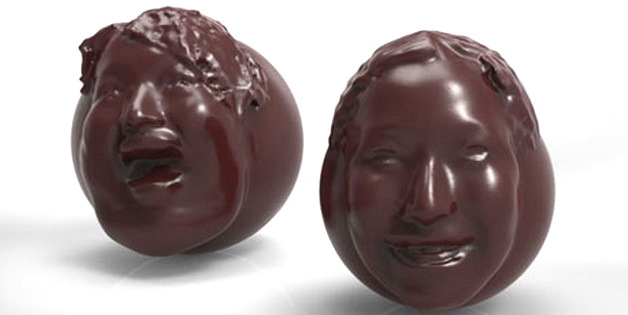 A chocolate making workshop by KS Design Lab offers classes ahead of Valentine’s Day for making personalized gifts, by turning one’s face into a chocolate treat for their significant other. Participants of the workshop first scan their faces and edit the data using a computer software. The data is then sent to a 3D printer to produce silicon moulds which chocolate is eventually poured into. 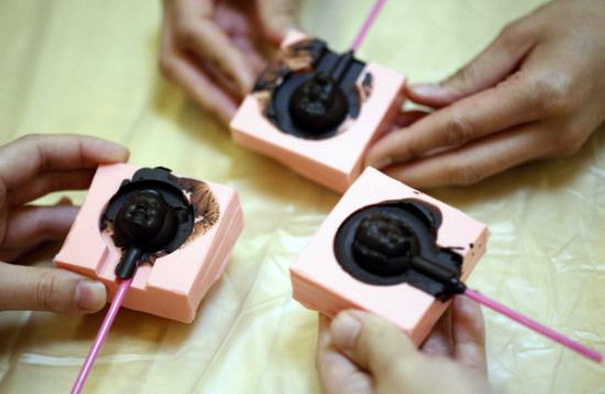 The molds turn out eerie candy likenesses meant to be nestled as a “surprise” in a box of Valentine’s chocolates. As in, “Surprise! My filling’s brain-flavored!” or “Surprise, my head actually IS full of peanuts!” or “Surprise! Happy love day and Gifts for your Valentine ! 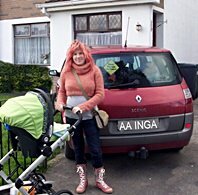 Previous Previous post: Weight change without taking drastic measures. Next Next post: High blood pressure and heart disease.